Type A for Amazing — our ode to great typography. 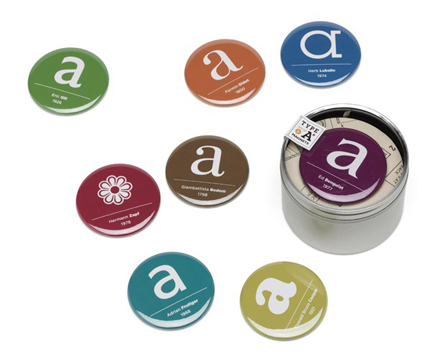 Organize your thoughts with these 2” magnets, featuring signature fonts from their notable designers and type A personalities — Bodoni, Didot, Cooper, Gill, Frutiger, Lubalin, Benguiat and Zapf. An instant designer classic! Available at Lindy Sue’s.